The murals that line Chicano Park are a beautiful representation of Chicano culture. Currently in English, students are reading A House on Mango Street which delves into Chicano culture. The murals represent many of the themes discussed in the book. 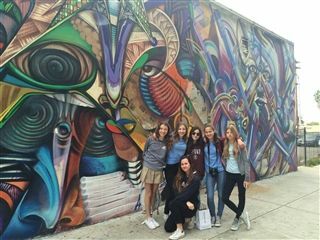 On March 27, students visited the park to view the murals and get inspiration for a creative writing project. 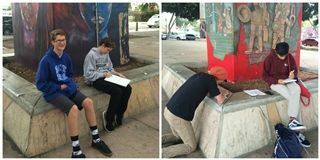 They have the choice of a photographic essay, a creative writing piece or a sketch drawing, based on their experience at Chicano Park.